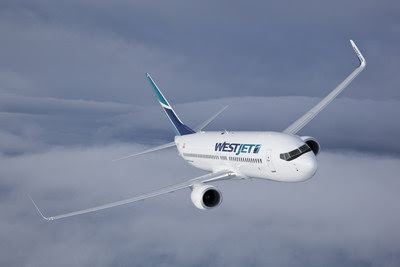 WestJet's inaugural flight, WS2200 from Calgary International Airport (YYC) to Mexico City International Airport (Aeropuerto Internacional Benito Juárez, MEX) departed this morning, marking the airline's newest flight to Mexico. Flights between Vancouver International Airport (YVR) and Mexico City start March 15, solidifying WestJet's position as the Canadian airline with the most flights to Mexico. "WestJet is proud to be at the forefront of expanding on vital trade and tourism linkages between Mexico and Canada," said Ed Sims, WestJet President and CEO. 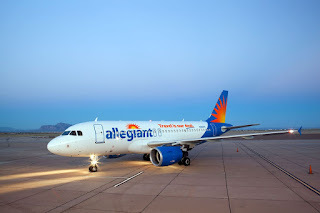 "Non-stop, year-round flights from Calgary and Vancouver to Mexico City connect the country to one of the most important major markets in the Americas and expand on growing opportunities for Canada/Mexico tourism. We welcome our first MEX and YYC-bound guests today knowing these flights are a win for business and leisure travellers on both sides." Starting today, WestJet begins service with four weekly flights between Calgary and Mexico City. Tomorrow, WestJet will launch three-time weekly service between Vancouver and Mexico City. Effective April 29, both routes move to daily service. WestJet's investments are expanding economic linkages that benefit many sectors of the economy. "WestJet's non-stop service from Calgary to Mexico City is great news for Alberta and Mexico," said Ricardo Miranda, Alberta's Minister of Culture and Tourism. "The new service will support the growth of tourism, trade and investment, while strengthening the cultural ties and relationships between our two jurisdictions. The service further establishes Alberta as a world-class tourism destination and an important business centre, by enabling visitors from Mexico to travel directly to Calgary and our province, and providing Albertans with a gateway into the central and south American markets." "Congratulations to WestJet on its inaugural flights to Mexico City," said the Canadian Ambassador to Mexico, Mr Pierre Alarie. "Mexico is a key partner and ally for Canada and people-to-people ties are the foundation of our deep friendship. In the first year following the elimination of the visa requirement for Mexican travellers, we witnessed an increase of 45 percent in Mexican visitors to Canada. We hope to see this positive trend continue." WestJet first landed in Mexico in 2007 and now serves 11 cities in Mexico from 15 Canadian cities, offering more non-stop routes than any other Canadian airline. WestJet's growth in Mexico makes up nearly 10 percent of the airline's available seat miles and at peak winter schedule, WestJet will operate up to 37 daily flights. WestJet is proud to be named Best Airline in Canada and one of the best Low-Cost Airlines in North America, based on authentic reviews from the travelling public on Trip Advisor, the world's largest travel site. The carrier proudly claims to be one of the very few airlines globally that does not commercially overbook. Together with their regional airline, WestJet Encore, they offer scheduled service to more than 100 destinations in North America, Central America, the Caribbean and Europe and to more than 175 destinations in over 20 countries through airline partnerships. WestJet Vacations offers affordable, flexible vacations to more than 60 destinations and the choice of more than 800 hotels, resorts, condos and villas. Members of the WestJet Rewards program earn WestJet dollars on flights, vacation packages and more. Members use WestJet dollars towards the purchase of flights and vacations packages to any WestJet destination with no blackout periods, and have access to Member Exclusive fares offering deals to WestJet destinations throughout our network and those of our partner airlines.